• This driver is not intended for use on AMD products running in Apple Boot Camp platforms. Users of these platforms should contact their manufacturer for driver support. 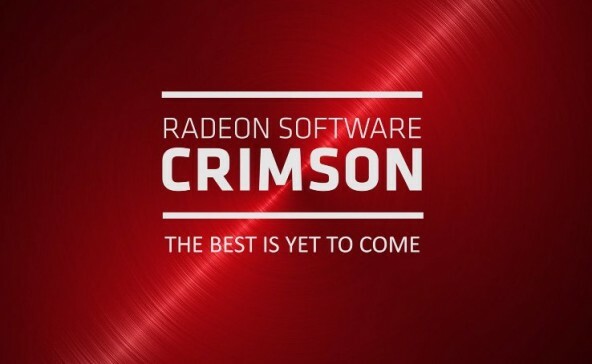 • When installing the AMD Radeon Software Crimson Edition for the Windows® operating system, the user must be logged on as Administrator, or have Administrator rights to complete the installation of the AMD Radeon Software Crimson Edition Driver. • The AMD Radeon Software Crimson Edition requires Windows 7 Service Pack 1 to be installed. • Counter-Strike™: Global Offensive fails to stretch on non-native display aspect ratios. As part of the new Display Scaling per game feature, users can set “GPU Scaling” to “On” and “Scaling Mode” to “Full Panel” in the Display options tab in Radeon™ Settings as well as setting “Display Scaling” to “Full Panel” in their CSGO gaming profile under the “Gaming, Profile Options” tabs for this to take effect. • AMD Radeon™ Fury Series may experience corruption on desktop when system is idle for an extended period of time. • FFXIV can experience black screen or experience an application hang. • XCOM2™ may experience minor stutter while the camera is panning around a scene. • Radeon™ Settings check for software update may not display the latest available driver. • A few game titles may fail to launch or crash if the AMD Gaming Evolved overlay is enabled. A temporary workaround is to disable the AMD Gaming Evolved "In Game Overlay"
• Need For Speed™ may experience poor scaling or flickering in AMD Crossfire™ mode. As a work around users can disable the profile through the Radeon™ Settings game manager. • The Division™ may experience flickering in AMD Crossfire™ mode. • Power efficiency toggle in Radeon™ Settings is showing up for some unsupported products. • DOTA2™ may experience game menu flickering when entering full screen mode with AMD Crossfire™ enabled. • League of Legends may experience some graphical corruption on characters death animation in AMD Crossfire™ mode. • XCOM2™ users may experience an application crash when using AMD Crossfire™ mode. As a work around please disable AMD Crossfire™ for the games profile in the Radeon™ Settings Gaming tab.